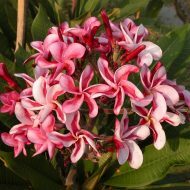 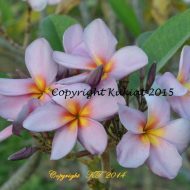 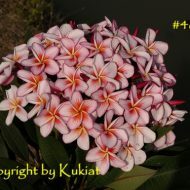 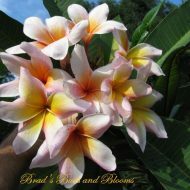 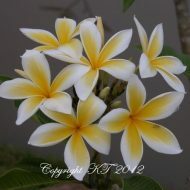 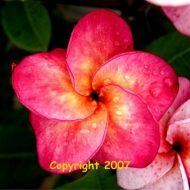 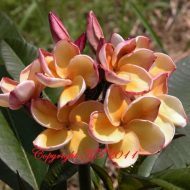 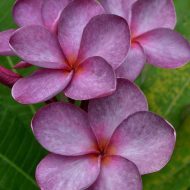 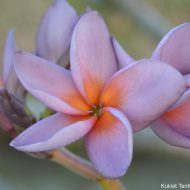 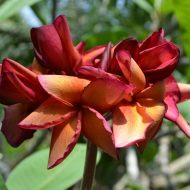 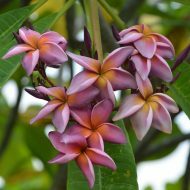 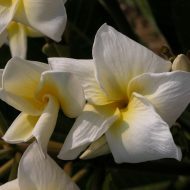 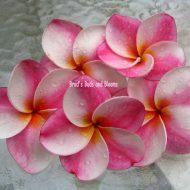 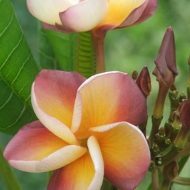 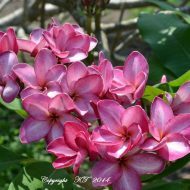 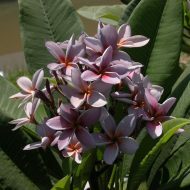 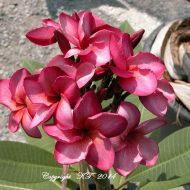 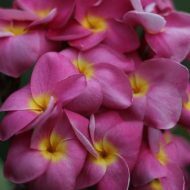 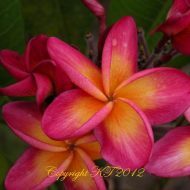 Home	> Shop	> Plumeria	> From Thailand	> Siam Obtusa Rainbow- New and Limited! 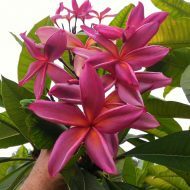 Siam Obtusa Rainbow- New and Limited! 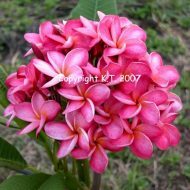 This pretty compact growing species has a coloration somewhat similar to Dwarf Criley, but with bigger flowers with wider petals. 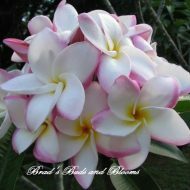 Blooms are sweetly fragrant. 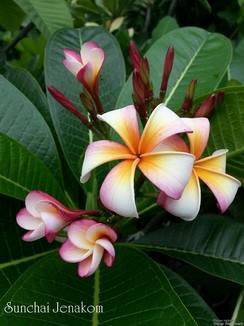 Leaves are also larger than D. Criley. 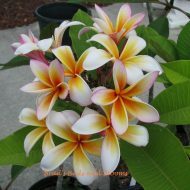 A true obtusa hybrid with a lot of potential! 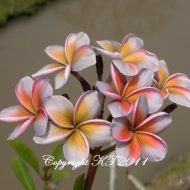 Very Limited!! 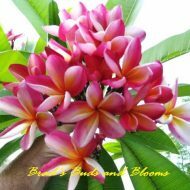 Grafted plants 12-16″ from the soil line.